Our Championship course features four 90 degree left hand turns, is 800m in length with a slight uphill finish. 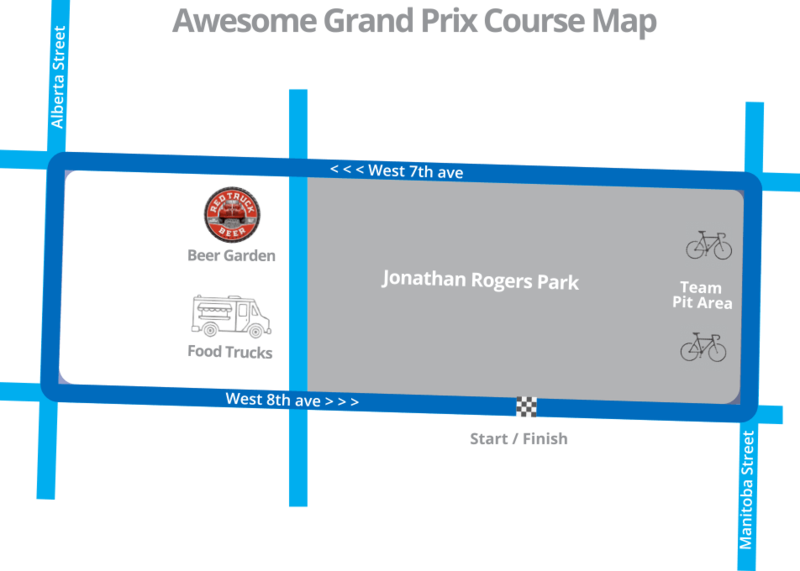 The entire course is closed to traffic and will be spectator friendly on all sides. Plenty of public parking on the street below 7th. Red Truck Beer Garden will be on Columbia between 7th and 8th.